Affirmations can be a powerful and helpful tool to prepare for and during birth. They can keep you feeling positive, motivated, and resilient especially during moments of uncertainty. I use them often with both my doula and COACHING clients. 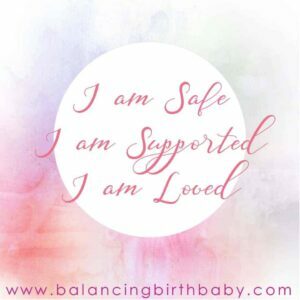 If using affirmations feels like it could be useful for you, I have some helpful guidelines that can make the difference in choosing what affirmations feel like the right fit and will be the most supportive during your birth journey. It is best to take time to educate yourself in all the birth options that could potentially occur during labour. Taking a class, working with a coach, and taking time to read books about birth are all great ways to give you a realistic idea of what to expect. 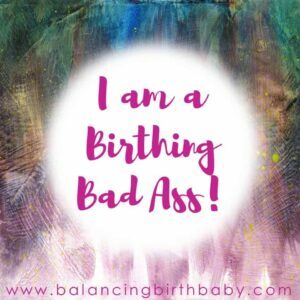 After you are clear on your birth options THEN start to work with affirmations. For example, it is easy to say an affirmation every day like “I can handle the pain of birth”, but without exploring what the pain of birth could feel like first, this affirmation could end up being more of a Band-Aid solution instead of being helpful. Many of the birth affirmations I see are beautiful and inspiring but set women up to feel like they have failed if they need to get an epidural or require a cesarean delivery. I talk to my clients often about the difference between open affirmations and closed affirmations. Open affirmations help you to be open to all possibilities and to feel strong even if you have to say yes to something you hoped would never occur during your birth. Closed affirmations focus on a specific type of birth or birth outcome. These can work well if your birth goes how you had envisioned or hoped. 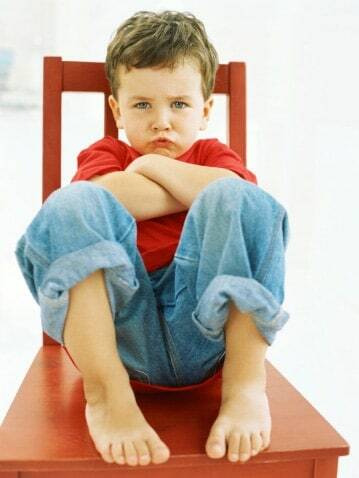 If your birth does not, these types of affirmations can leave women feeling hurt, that they did not try hard enough during their labour, or that they failed. 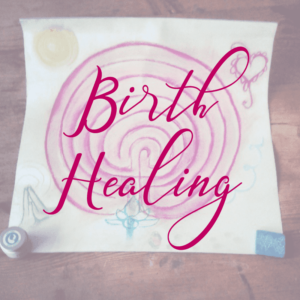 My goal as a doula and birth preparation coach is to make sure that my clients feel empowered, safe, and supported during their birth experience no matter the twists and turns of their journey. I use these standards as a way to measure whether I think an affirmation would be effective and helpful. Would this be helpful to hear if I had to have an unplanned cesarean delivery? Would this make me feel empowered if I had to have an epidural? Would this be helpful if I had to wait to get the epidural I requested? Using my guidelines, find or create a few affirmations that resonate with you deeply. Using too many affirmations can cause you to feel confused so I recommend working only with five or less. The first and most important step to work with an affirmation is to use it as a journaling tool. This is a way to get to the subconscious root of your birth beliefs. Write the affirmation down and then write down all of your thoughts that come up immediately during or after writing it down. Once you no longer have any more thoughts surfacing in your mind, write the affirmation down again. Once again write down any thoughts that came up for you while you were writing it a second time or immediately after. Keep repeating this process until you are able to write down the affirmation and no thoughts surface for you. Now take a deep breath and read the thoughts that surfaced. Try not to judge yourself if these thoughts seem harsh or the opposite of what you expected. Be curious and perhaps do some more journaling to explore where these core beliefs have come from. If you need help with this, please consider reaching out to me. A big part of what I do as a coach is exploring these types of underlying issues in helping women prepare for their birth. Once you have done this journaling exercise with your chosen affirmations then make it a daily practice to write them out every morning when you wake up or before you go to bed at night. Consider enjoying a cup of tea and rubbing your belly to connect with your baby while doing so. Write your affirmations on post-it notes and placing them in places that you are regularly can be helpful to read them often. I put affirmations on my bathroom mirror, my car dashboard, and above my kitchen sink. I have had clients who also sing their affirmations or will dance while saying them to help bring their affirmation into all parts of their brain and subconscious. I have had several clients create prayer flags with their affirmations. 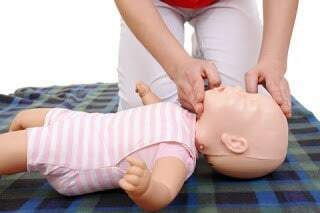 This is an activity you can do on your own, or perhaps during a baby shower to connect with others to prepare for your birth. Buy some beautiful fabric (light colours and cotton is best) and cut it into squares of the same size. Decorate each square with fabric markers and your different affirmation. After each square is decorated, sew them to a piece of ribbon and hang it in your birthing area. Your partner or if you have older children may want to make a square as well. When I was in labour with my last baby, I was inspired to keep going while looking at those beautiful messages and pictures. After my son was born, we hung the birth affirmation flag in his room and I would look at each square while nursing and feel the support of my family and community with me. You can also create affirmation posters by decorating pretty sheets of paper (check out crafting stores) with your powerful words and then hang these up in different parts of your birthing area or hospital room. Share your affirmations with your partner and any other supports who will be helping you in labour. They can say them with you or remind you to say them in moments of struggle or uncertainty. Affirmations, when said repeatedly, can become a mantra help you to focus on something other than the intensity of labour. They can also help you relax more during contractions, which can further increase the oxytocin your body is producing to help with your birth. 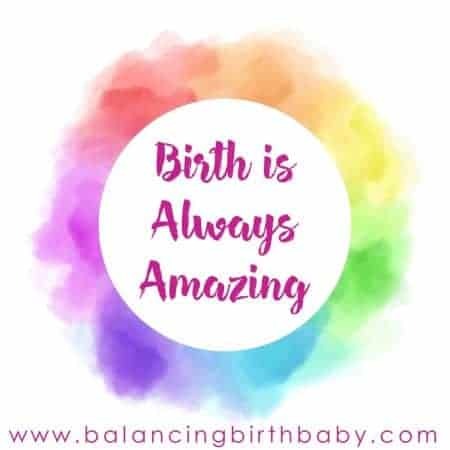 If you are interested in working more with affirmations or other mindset preparations for your birth, please reach out to me. 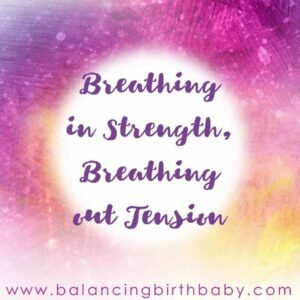 My birth preparation coaching includes affirmations amongst many other tools to help you feel ready and empowered for your labour. The women who work with me tap into their intuition, their courage, their resilience and have a plan to handle whatever labour brings them. Book a free discovery call to see how working with me is the right step in your birth preparation! Bronwyn Addico is a Birth and Postpartum Doula, a certified Dancing For Birth TM instructor, a certified Birthing From Within TM mentor. She offers virtual birth and new parenting coaching in addition to her in-class sessions. Bronwyn focuses on empowering her clients to find the tools within themselves to thrive during pregnancy, birth, and early parenting. Bronwyn is a single mother to 2 wonderful kids. She is able to share a wealth of information based on her vast array of parenting experiences. Why should you take a prenatal class?